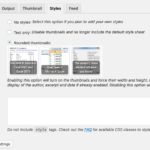 The Thumbnail options section contains a set of options that allow you to fine tune the thumbnails displayed in the popular posts. These are global settings and many of these can be overridden in the widget or the shortcode. You have four options on the best location of the thumbnail – before or after the title, only thumbnails or only text. 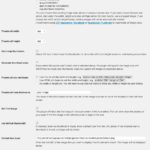 You can choose from existing image sizes or create a custom size. 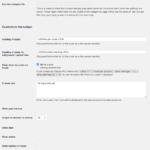 If you have chosen Custom size (or tptn_thumbnail) in the settings, then enter the width, height and crop settings below. For best results, use a cropped image. 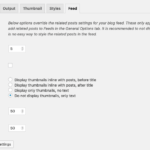 If you change the width and/or height below, existing images will not be automatically resized. You will need to use a plugin to regenerate these thumbnails. These two options allow you to set the width and height of the thumbnail when choosing a size above. Check this box to hard crop the thumbnails. i.e. force the width and height above when generating a thumbnail instead of resizing to maintain proportions. 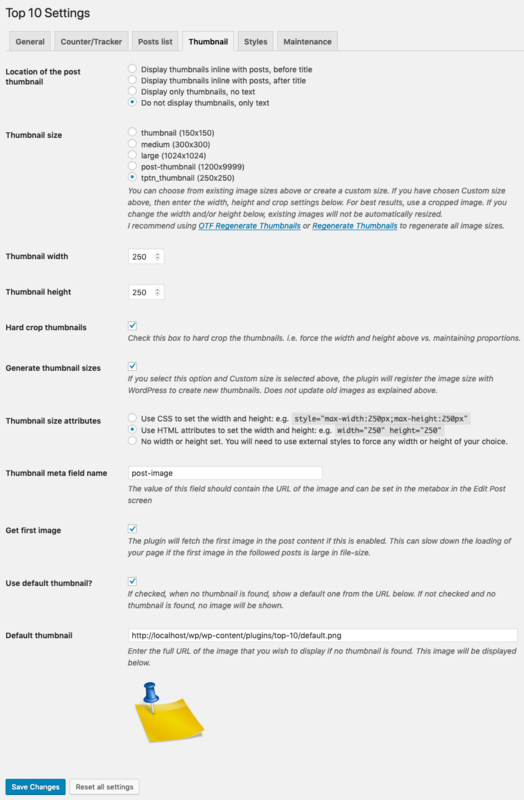 If you select this option and Custom size is selected above, the plugin will register the image size with WordPress to create new thumbnails. Does not update old images as explained above. 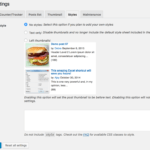 Specify the HTML markup for the thumbnails included in the posts. Choose between no attributes, CSS to set width and height or typical width and height attributes. The value of this field should contain the URL of the image. Find this in the metabox in the Edit Post screen. The plugin will fetch the first image in the post content if this is enabled. This can slow down the loading of your page if the first image in the followed posts is large in file-size. If checked, when no thumbnail is found, show a default one from the URL below. If not checked and no thumbnail is found, no image will be shown. Enter the full URL of the image that you wish to display if no thumbnail is found. This image will be displayed below.